A couple of weeks ago I posted information regarding information sessions held to help landowners understand the issues surrounding leasing their land for oil and/or gas drilling. Understandably, many people who are interesting in this information cannot attend the meetings in person. There is plenty of help online for those who own land, or mineral rights under land, and want more information about leasing it for oil and gas exploration, or just want to better understand the oil and gas exploration going on around us. 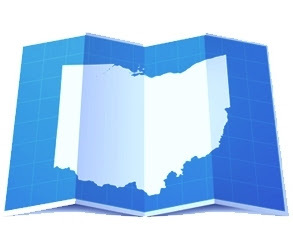 The Ohio Farm Bureau Federation has published information titled "What landowners should look for in oil, natural gas leases." This last web site is a joint project between the Groundwater Protection Council and the Interstate Oil and Gas Compact Commission that provides a chemical disclosure registry and all sorts of educational information. It allows you to search for information about the chemicals used in hydraulic fracking. In addition to publishing useful reports, databases and other resources, many of the web sites above also contain links to even more sites that will help in your search for information. Happy hunting! This blog has some really great information and links. From where I’m sitting, people who own land in the parts of the state that do have oil and gas, particularly in this Utica Shale, really do need legal counsel. I’m glad that your law firm is focusing a blog on it. I talked to a client of mine who said he felt like he was a fish in a shark tank, literally, and that in his community, there are people going door to door trying to obtain these lease agreements. It seems like there are many sharks in the water looking to lock these land owners into an oil and gas lease. It’s just shocking to talk to someone who owns property in these counties where it’s so much of a gold rush feel that the landowners are concerned. They feel like these sharks are just waiting to pounce. Complicating it even further is that many attorneys are touting themselves as oil and gas experts when they really aren’t, so it’s really good to see a company that’s trying to do the right thing by helping to educate property owners. You’re doing the right thing. Property owners need to arm themselves with knowledge. A March 28 article in the Columbus Dispatch (http://www.dispatch.com/content/stories/business/2012/03/28/bp-to-pay-millions-for-leases-in-utica-shale.html) states that BP Oil is going to be paying millions of dollars to buy up 84,000 acres in Trumbull county, Ohio in northeastern Ohio. The rumor is that the company is planning to spend $330 million to purchase leases that already exist or enter into new leases. If there was a time to hire an attorney, especially if you live in Trumbull County, today is the day. You are helping landowners in those areas of the state to realize that they really do need someone reviewing the lease offers that they might be receiving. Thanks Scott. I appreciate your comments and kind words.